Chelsea, just like everywhere else in the Northeast, was extremely hot this weekend. Even for the coolest characters sweating was a problem. This young man braved the heat in long pants and a jacket, but carried with him a small towel to dab the sweat from his face. While definitely hot, his untucked, white button down looks great underneath the slim fitting black blazer. 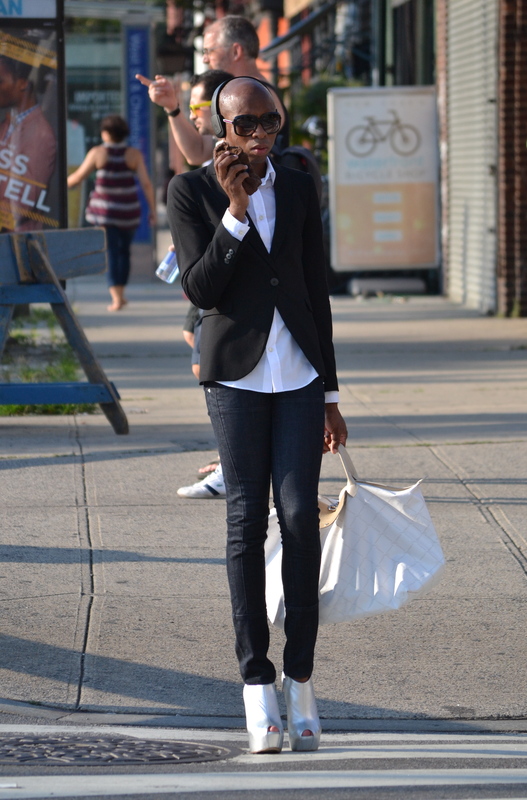 The skinny jeans have a nice colored wash and a unique trim around the ankles. 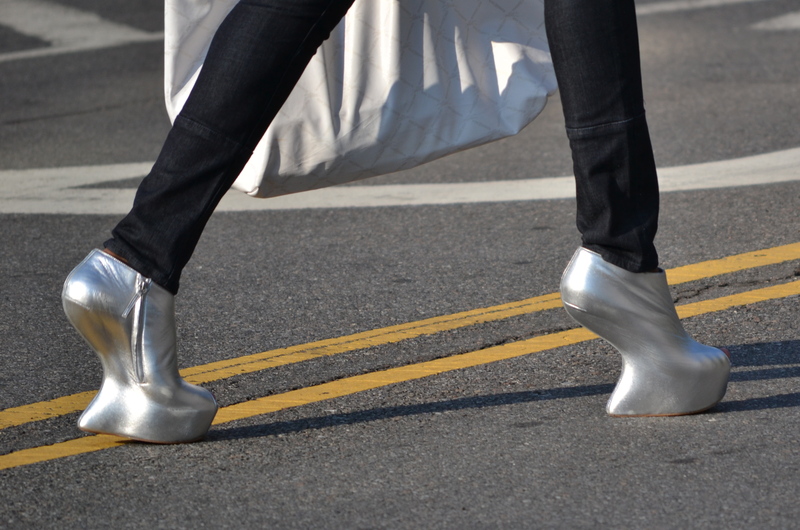 The metallic silver, heel-less platform booties, sit right below the jeans, but steal the show from the rest of the outfit. Their unique design and reflective color, helps them standout regardless of the bustling city around them.